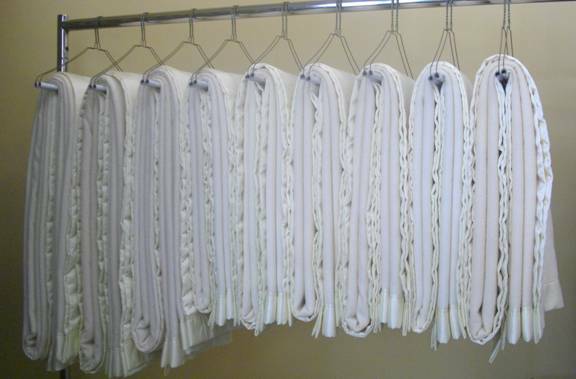 Looking for professional, comprehensive dry cleaning for bed covers and blankets? Mega Yacht Cleaning is South Florida`s trusted dry cleaning service provider for yachts and boats. Our professionals offer high-quality dry cleaning and care for everything from custom linens to custom bed covers, but that`s not all. All of our services include free pickup and delivery on your schedule. We know all of the marinas in the area and we are certified and insured to service every one of them. Have a tough stain, a delicate fabric, or a unique piece that needs greater care? We specialize in custom bed covers cleaning for yachts. We also offer custom wool blankets cleaning and custom throw blankets cleaning. Our cleaning professionals are known for their meticulous attention to detail in preserving all of your items during the dry cleaning process. Simply put, our expertise is unmatched; our professional staff has over 15 years of experience in fine garment cleaning and care. We also have a top-of-the-line, 80-lb, fifth-generation Italian-made dry cleaning machine that does amazing work. 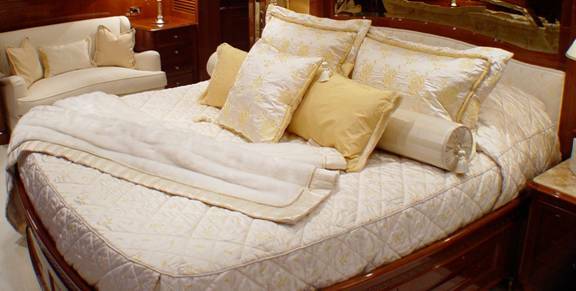 Call Mega Yacht Cleaning at (954) 448-8899 and order a pickup for your custom bed covers cleaning for yachts today. Don’t compromise in choosing just any dry cleaner; your blankets and bed covers will last so much longer with proper care.